The Steven Spielberg movie "Lincoln" was criticized for the way that it is treated the White House domestic staff, especially Lincoln's butler. Lincoln's butler, (called "Slade" in the movie) was historically, an active leader in the free black community of Washington, D.C. However, he was portrayed as merely kindly and avuncular in Spielberg's movie. For a critique of "Lincoln" the movie, on those grounds, see here. 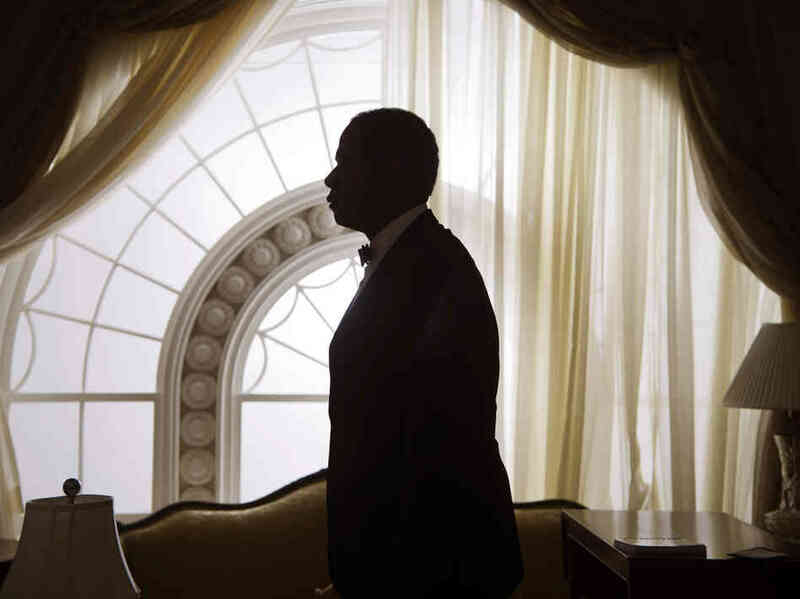 Almost a year later, Lee Daniel's The Butler arrives to tell us a story of another White House Butler. Forest Whitaker portrays Cecil Gaines, the son of a sharecropper who served for 30 years in the White House as a butler. That 30 years covered the years of the Civil Rights Movement, beginning with Eisenhower and ending with Reagan. Cecil Butler, in livery, silently served coffee and tea in rooms where white Presidents sought to evade the demands of justice. The first such scene we see is Eisenhower trying to avoid sending troops to Little Rock, and the last is Reagan threatening to veto legislation applying sanctions to South Africa. The film is fictional; the truth is here. The movie is an exploration of the role of dignity as a response to oppression. The preservation of African American dignity in the face of dehumanization has been means of both survival and struggle for this long history. The movie made some connections for me, a white person. One was that the non-violence of the Civil Rights Movement emerged out of the tradition of dignity, especially the tradition of dignified "service", that had developed in the Southern plantation/sharecropping system. The movie makes this connection clear as it intercuts scenes of a lunch counter sit-in with scenes of the White House domestic staff preparing for a state dinner. While the sit-ins were disruptions of the social order and the rituals of service at a state dinner were extreme manifestations of the social order, the affect and the demeanor were the same: the display of dignity. The second connection that came to me was this tradition of dignified service was enforced by traumatic racial violence. Cecil Gaines witnesses his father being killed by a white man who had raped Cecil's mother. Cecil was brought into the 'house' as some sort of consolation, perhaps an act of penance, by the killer's mother. The threat of violence and retribution hangs over so many encounters between Cecil and those he served. The movie contains many scenes of Cecil skillfully evading affirmation of racist expressions of whites, including the Presidents of the United States, while not directly confronting them. The costs of service are almost too much to bear. Cecil lives in two worlds -- his domestic life and the domestic life of others whom he serves. His wife cannot come to his workplace. One of his sons becomes an activist, and a freedom rider and eventually a Black Panther, which is too much difference for the relationship to carry. His son later becomes a more conventional political leader. His other son serves (there is that word again) in Vietnam, and dies there. On the surface, The Butler seems to an apology for our most cherished white fantasy of admirable African American behavior: dignified, friendly, concerned with our comfort, unobtrusive. Cecil Gaines is an attractive and sympathetic character. His dignity seems heroic, and I found myself sympathizing with his revulsion to the militancy of his son, even though that would not be my considered political judgment. But we should try to see beneath the surface of the movie: where does such dignity come from, and what does it cost? And how does it shape our expectations, as white people, in relationship with African Americans today, in daily life, where we are meeting supposedly as equals in a democratic society? Great synopsis of the movie's theme. I've wanted to see it, but now I feel I must. Here's a link to a clip I shared on Facebook that talks about what whites can still do to cut over against targeting of blacks and the assumption of white privilege.